Travel Chairperson and Former Symphony Board Member Neal Albright shares, “We joined with other travelers to see the old cities of Belgium: Ghent, picturesque Brugges, Maastricht and bustling Antwerp & Brussels. Delicious chocolate and beer were some of the fare we enjoyed. Then we were on to Floriade- held only once a decade-international exposition of everything horticultural. 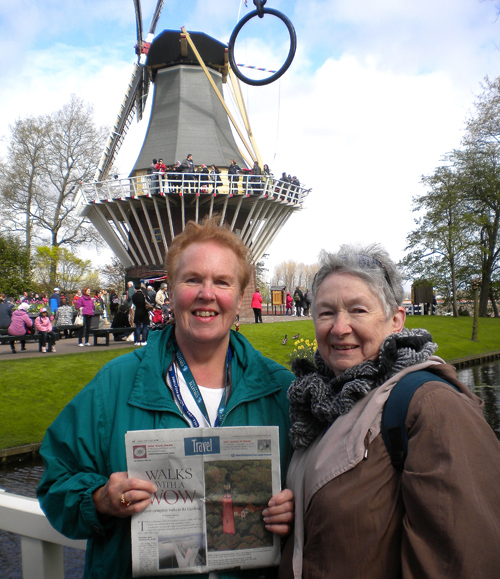 And then we visited Amsterdam to see the Keukenhof Gardens with their formal and informal gardens of beautiful spring bulbs and a city bus tour and an evening canal boat ride.” See photos of this trip.